When it comes to custom home building, we know the right tools, equipment, and experience are key. That’s why you can trust Complete Contracting to get the job done right. Our business began back in 2000, but our experience in the home building industry dates back even further. We pride ourselves on bringing affordable custom home building projects to life, and we’d be thrilled to work with you on your dream home. 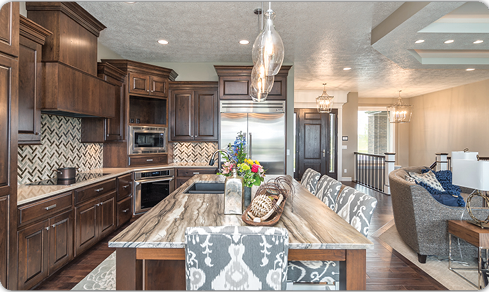 CUSTOM HOME BUILDING AND DESIGN with Chuck and Meg Wiseman is the wisest decision you could make for your custom project. Their combined experience and expertise provides you with the confidence that your dream home will become a reality, no matter the budget. Let Chuck handle the building and specifications, while Meg brings your design dreams to life, all within your budget. Together, they’re the perfect team. 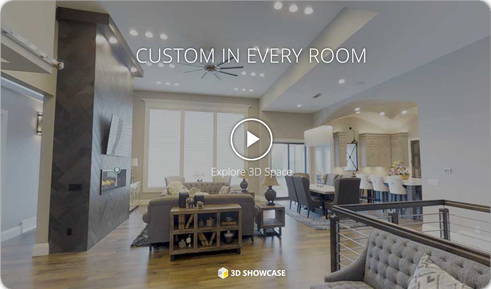 Explore some of our custom projects, and find inspiration for your custom home build. Following our four step process to building a new home, see below for a more detailed checklist throughout the home building process. This step might seem very basic at first glance but your land, its location, and topography will affect all the other steps. Some of the features of your land will put limits on the type or style of home you can build. Not to mention the financial component – land can be the single most expensive part of building a home. After all, you know what they say about land, they aren’t making any more of it. Land purchased within a community will more than likely have building restrictions. This can affect things like the style of the home, the building height, its overall square footage and even the exterior color. Make sure you get, read and understand all the regulations that may impact building on your land. Usually the community organization will have all the information you need. Depending on your budget, your home size and features may be limited by the cost of the land. A prime piece of land in a great location might be worth the sacrifice. After all, you can always add on or modify your home in the future, but the location can’t be changed. Some people will say get your financing in order before picking a house plan. But how do you know what the cost of construction will be without knowing what you are going to build? Once you have your land you will know better what features of a house plan you will need. Things like foundation type, drainage, and lot preparation will effect the cost quite a bit. Once you know your general needs, dictated by your land, you have to choose which type of house plan you are going to buy. Are you going to buy a stock house plan or have a home custom designed? Each have their pros and cons. Buying a stock house plan is the most cost effective. There are lots of plans to choose from. They have the benefit of experience. They have been built before so in a basic sense the kinks have been worked out. With so many to choose from you will most likely be able to find one that suits your needs. And most stock house plans can be modified to meet all your requirements. The main con to a stock plan is the limited ability to make your home uniquely yours. While modifications can go a long way they can not always get you to fall in love with the plan. 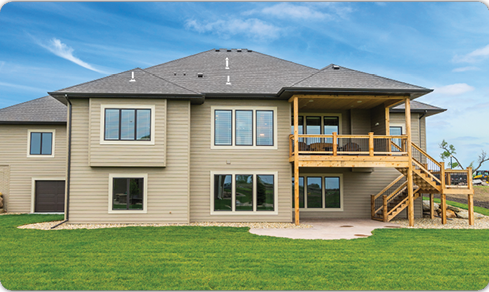 If your budget allows, a custom home can be life changing and at Complete Contracting that is what we specialize in. It is a chance to create something that will perfectly fit your location and your lifestyle. The main downside is the cost and time. While a stock house plan can be ready to build within a few days, a custom plan can take 6 months to a year to develop. Warranty. One of the great advantages of buying a brand new home is the warranty that comes with it. Professional builders stand behind their work with an after-sales service program and a guaranteed third-party warranty. Construction financing is probably the most important part of your home building checklist. But roughly, lenders will require at least 20% down for a construction loan. And unlike a regular home loan the lender will not give you the whole amount up front. Usually a construction loan is paid out as different milestones are completed. This may at first seem unreasonable but it is designed to keep things on budget. It also protects the lender. The last thing anyone in this process wants is a home 80% complete and the construction loan exhausted. Most construction loans are short term loans. They must be refinanced after a year or so. After the home is complete the loan will need to be converted into a conventional home loan. Along with the financing, your insurance will need to be converted. Home owners insurance is different than insurance you get while the home is under construction. I don’t say “find a builder” for this step. Because you will need to have a builder involved when you are picking a house plan. You will need his help with gathering information about the cost of the home when you go looking for financing. A builder can even help with finding or assessing land. A local builder can be a vital source of information. They will know what areas are difficult to build in and what obstacles you will face. During construction, a good builder will keep you in the loop and encourage your participation. They will help with unforeseen issues and suggest solutions that you may not be aware of. With Complete Contracting, we are with you from the start of planning to the building of the home to customizing the design and decor to your liking. We are a full-service contractor and we are ready to help you build your dream home! Give us a call today to start this process. © 2019 Complete Contracting, Inc.